We all have it - that one item we had to have, something that we saw and just had to purchase, but have never used. 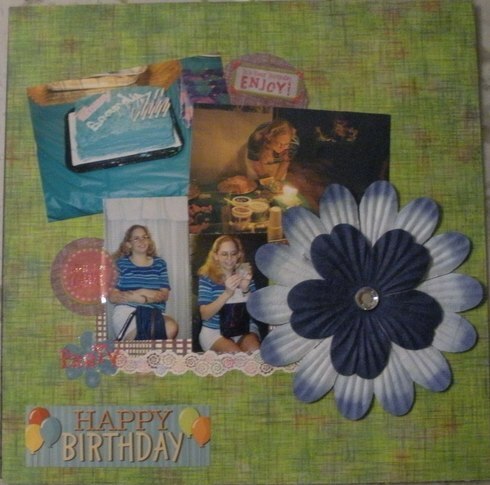 Use that one scrapbook item that you just had to purchase, but since then has just languished away in your stash gathering dust, on a layout this week. 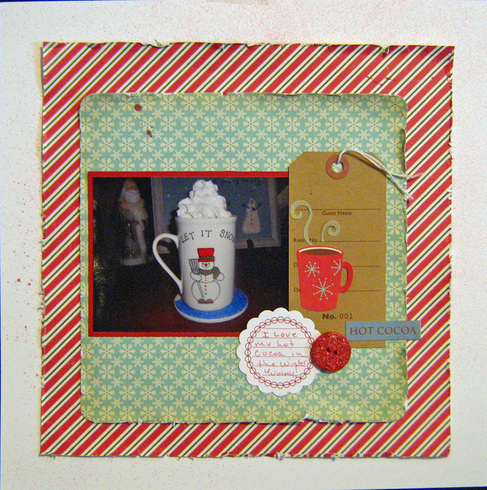 Here is mine and that one item was the jillibean soup tags! Had to have them and this is the first time I used one! I like your layout Janet! I bought this large two layer blue flower a few years ago because "I had to have it!". I always bypass it now because it IS so big. So this challenge was PERFECT!